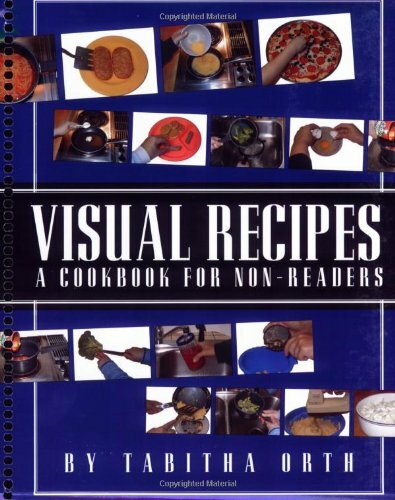 Visual Recipes: A Cookbook for Non-Readers by Tabitah Orth. This cookbook is laid out entirely with pictorial and text descriptions on how to cook basic recipes. The step by step instructions are short, clear, and easy to understand. The book has 35 total recipes for breakfast, lunch, dinner, side orders, snacks, deserts, and drinks. It was written specifically for people with autism and other developmental disabilities who are non readers so that they could become more independent in the kitchen. Pp.107. This entry was posted in Other/Miscellaneous, Our Library and tagged Autism Spectrum Disorder, books, life skills, visual support. Bookmark the permalink.